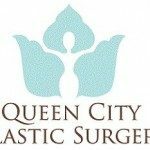 Cosmetic- Botox/ Filler, Liposuction, Tummy Tuck, Breast Augmentation. Reconstructive- Breast Reduction, Skin Lesions, Carpel Tunnel, Trigger Finger. Migraine Surgery, Body Contouring, Eye Lift.